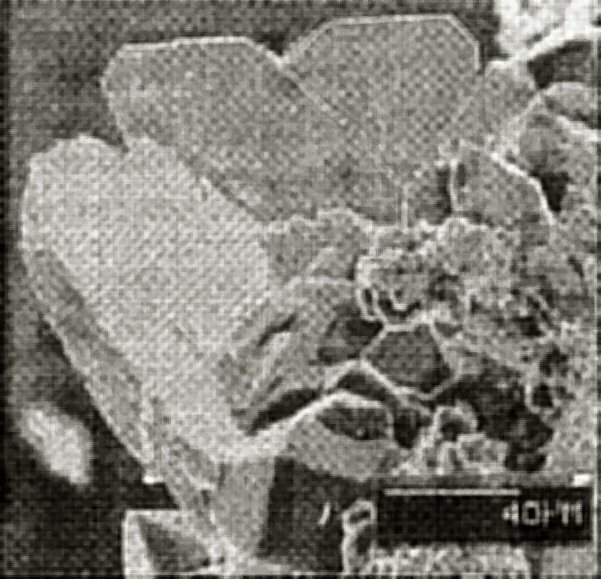 Comments: SEM image showing several crystals of deanesmithite protruding from matrix. (CanMin v31:787). Location: Small prospect pit near the long-abandoned Clear Creek mercury mine, New Idria district, San Benito County, Califomia, USA.